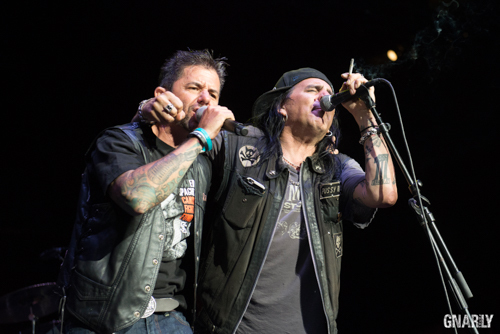 Four years before Rachtman gained prominence as the host of MTV’s Headbangers Ball from 1990-1995 (replacing Adam Curry ), he was known in the Hollywood rock scene as founder of the Cathouse. Rachtman’s vision when he started the Hollywood nightclub was to have a place where people could watch rock and roll bands play and have a good time. Shortly after it opened, the Cathouse gained notoriety as the place where emerging bands performed and good-looking women congregated. The phrase “party like a rock star” might have been born there. The Cathouse closed its doors in 1993, but the spirit has lived on. 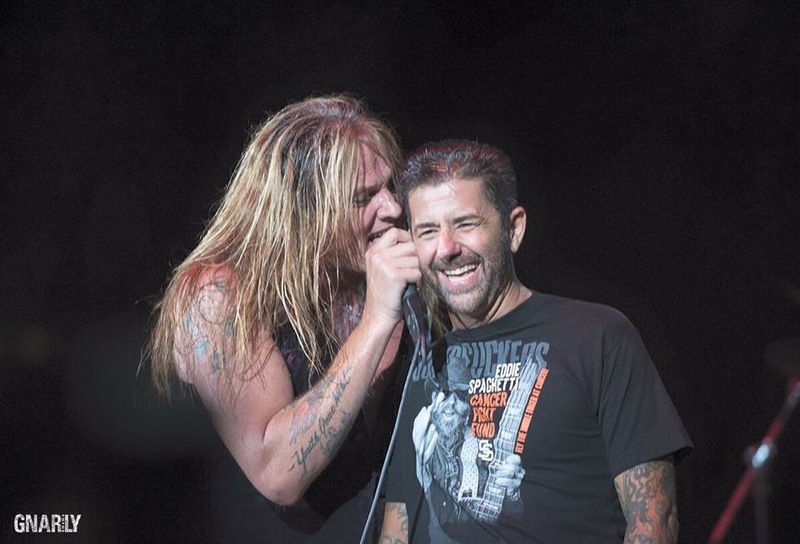 Though its been over a week since the Cathouse Live concert event took place at Irvine Meadows Amphitheater in Irvine, California on August 15, Rachtman is still beaming about his one-day rock and roll party. Kicking off the concert were THE AVIATORS and SWAMPHAMMER ; these talented, yet relatively-unheard bands won spots on the Festival Stage and Main Stage, respectively. Cathouse gave fans a chance to meet the bands in the designated tent area near the various concession stands. An obvious downside of the day was the triple-digit Los Angeles temperature with limited areas of shade until twilight. Bands clad in the black leather regalia characteristic of the era may well have regretted their commitment to that fashion statement. Another challenge was that the bands’ performances split between two stages from 2:30 to 7:45 PM, so being able to see each band’s set was a challenge. Each band’s set averaged 30 minutes until the Festival Stage closed. 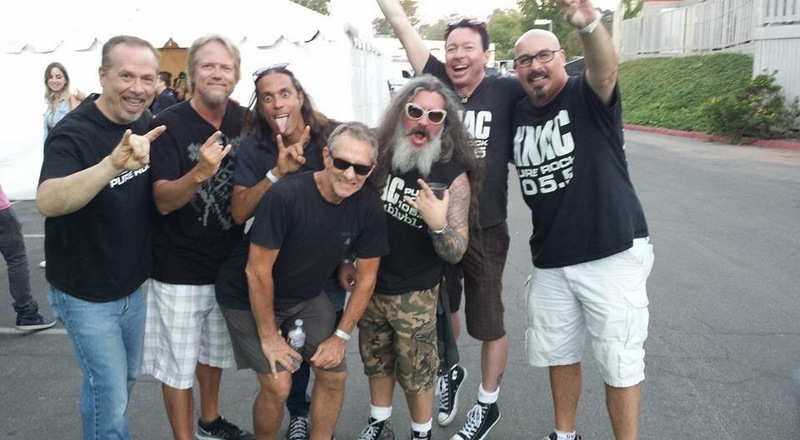 KNAC.COM on-air personality DJ Will made the earlier bands’ introductions. Just before DOKKEN took the main stage at sunset, some former disc jockeys from the late, lamented Los Angeles FM radio station KNAC (105.5) including Gonzo Greg , Thrasher , Dangerous Darren , Jack Trash , Stew , Philthy Phil , and Remy Maxwell , got up on stage to raise a toast to the appreciative audience. It’s likely that everyone in attendance, with the exception of those too young to remember, had been KNAC listeners back in the day. With the exception of THE AVIATORS and SWAMPHAMMER --each relatively new—all of the bands in the Cathouse lineup received major airplay on KNAC . The Cathouse closed its doors in 1993, around the time of the surge of grunge music, and negative connotations toward bands who donned the look of POISON or MOTLEY CRUE were commonplace. Instead, Yo! MTV Raps was the order of the day. Rachtman moved to North Carolina nine months ago. “If anybody asks, I’m still from Hollywood,” he insists. “I will always be from Hollywood. I love North Carolina. I like the people there, I like the environment, I like the seasons, I like the lack of traffic. I like that NASCAR is based out of there. I moved to Charlotte to do more work with NASCAR . And the second I get to North Carolina there’s no more NASCAR work and there’s rock and roll out the ying yang. But that’s okay."